Healthy cooking techniques are just as important as the type of foods you choose to eat. What good is high vibration, clean food if you drench it in batter and deep fry all the healthy stuff out of it?? Over the last few weeks we have talked about what kinds of food to eat to keep you strong, energized and healthy… now let’s get into some healthy ways to prepare them. Steaming: Super easy way of cooking many different items through steam. First bring a pot of water to a boil, then use a steaming basket to separate your food item from the boiling water. Cover the pot and let the steam do the work! This method is great for lots of different veggies and proteins. En Papillote: This is a version of steaming, however, this method your protein and veggies are wrapped up in parchment paper and then cooked in the oven. The steam produced inside the parchment packet then cooks the food. This technique is really easy and also allows you to add tons of flavor without a ton of fat. Poaching: Is the process of cooking in very low simmering liquid usually stock, water, milk/cream, butter or wine. Fish, chicken and eggs are the most commonly poached items. 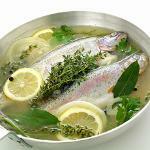 Poaching helps to infuse a lot of moisture into what you are cooking. Here is a great, simple recipe try from Rachel Ray on the Food Network Poached Halibut with Tomato and Basil. 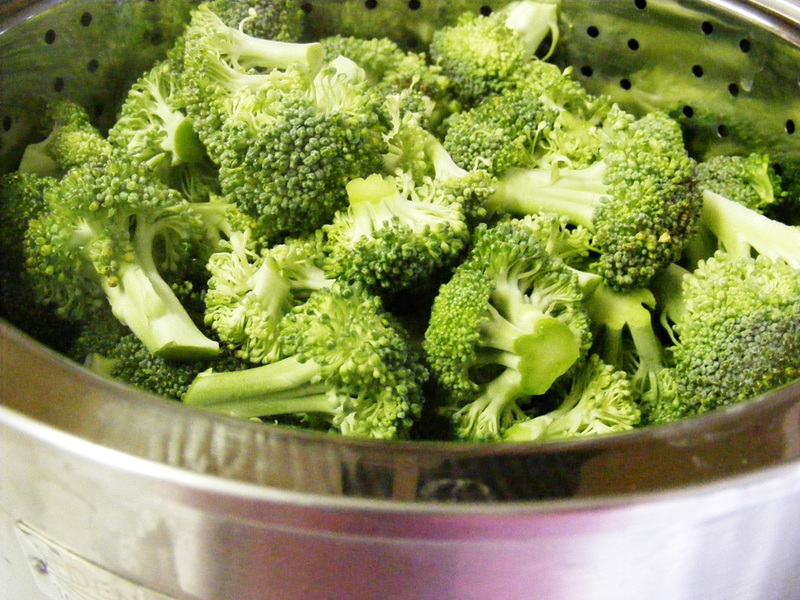 Blanching: This is the ideal way to cook most vegetables. 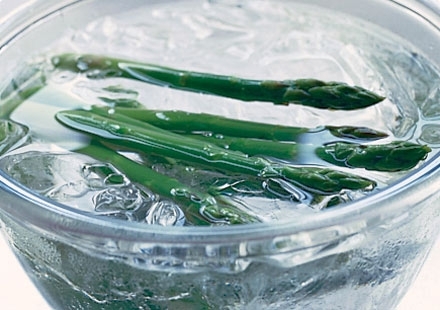 Blanching is the process of adding produce to a high heat rolling boil, but only for a few minutes, then immediately removing your items from the heat and shocking it in an ice bath. This method of cooking is a great way to be sure to retain all the nutrients as well as the color of your produce. Roasting: Is a healthy method to cook many vegetables as well as larger cuts of meat. Trim the item you want to roast then place it oven over medium heat. You get great caramelization from the heat without having to add too much fat. Root vegetables lend themselves to amazing roasting. 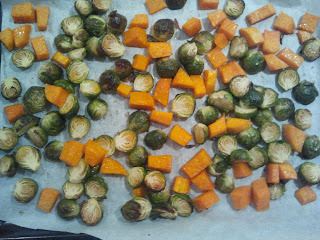 Here’s my recipe for Roasted Butternut Squash and Brussels Sprouts. Baking: A straight forward method of cooking under dry heat in an oven. Really the only difference between baking and roasting is the temperature. Baking is typically done at a lower temperature to promote even cooking. 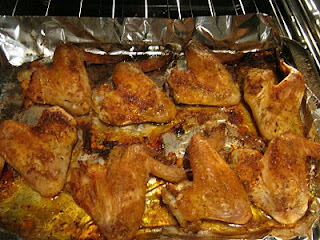 Check out my recipe for Crispy Baked Chicken. Grilling: We have all grilled before, I am sure. 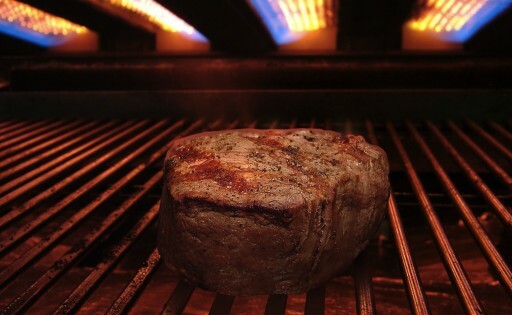 This is process of exposing meat and produce to a direct flame on a grill. You get lots of flavor while keeping your meals lean. 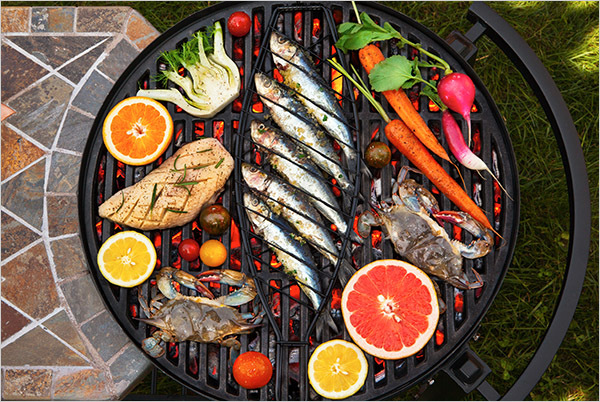 Broiling: Is a great alternative to grilling. You’ll notice that most ovens have a Broil setting in where items are cooked under very high heat for a short period of time. 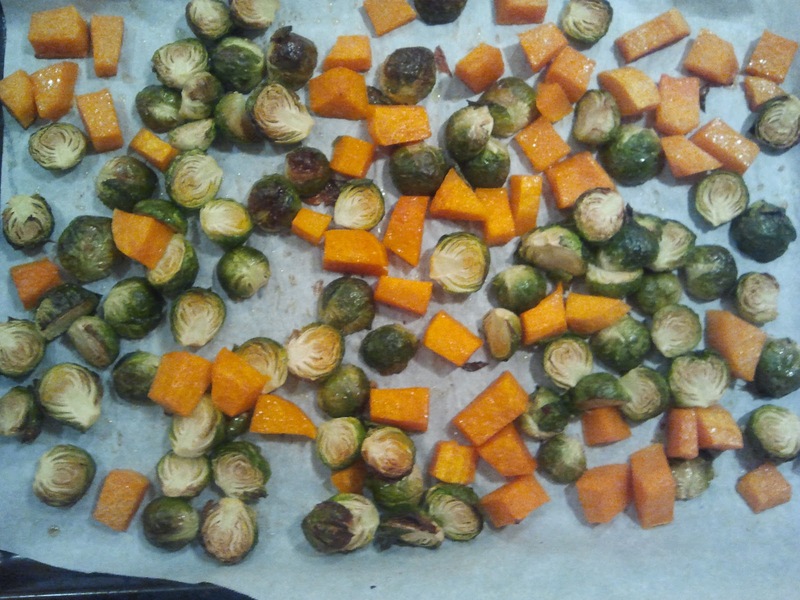 Broiling is a great way to get color and perfect caramelization on your proteins and vegetables. Healthy eating does not have to be boring. Try a cooking technique you’ve never used before and spice up your meals a little!